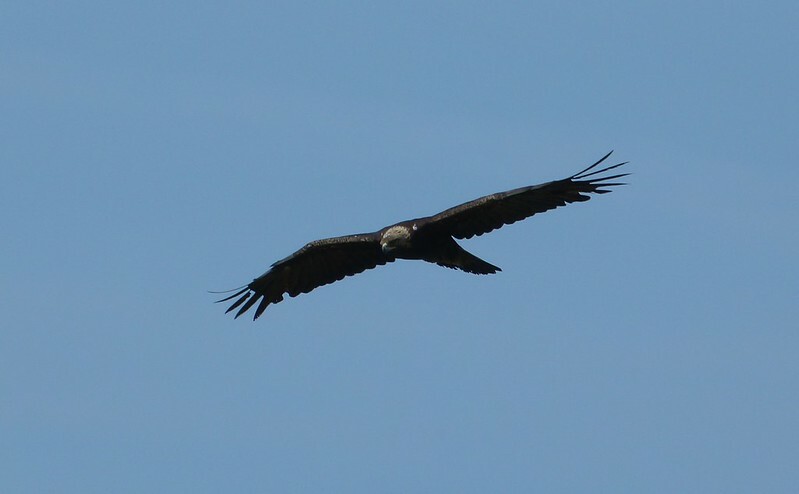 As I mentioned in my last entry here, we've just returned from another fantastic fortnight on the Isle of Mull. Regular readers will by now know of my love for this Scottish island and it literally pains me that we only get the opportunity to visit once a year. When that time does arrive however be in no doubt that we make every single second count. This time around has been no different and somehow Mull has once again managed to surprise, enthral, excite and amaze us just as much, if not more, than our first time ashore. My original plan had been to write a day by day diary of our experiences but on reflection that would likely have taken me until the end of next summer to complete. Instead the forthcoming entries will cover just a few stand out encounters and trips, all of which will hopefully show off this fantastic island at its best. So where to start? In a glaring case of conformity right at the beginning I think, which when dealing with Mull usually means the often overlooked port of Oban. For many people this seaside town is simply a place to catch the ferry, but step away from the car and you'll find a host of wildlife just waiting to be discovered. 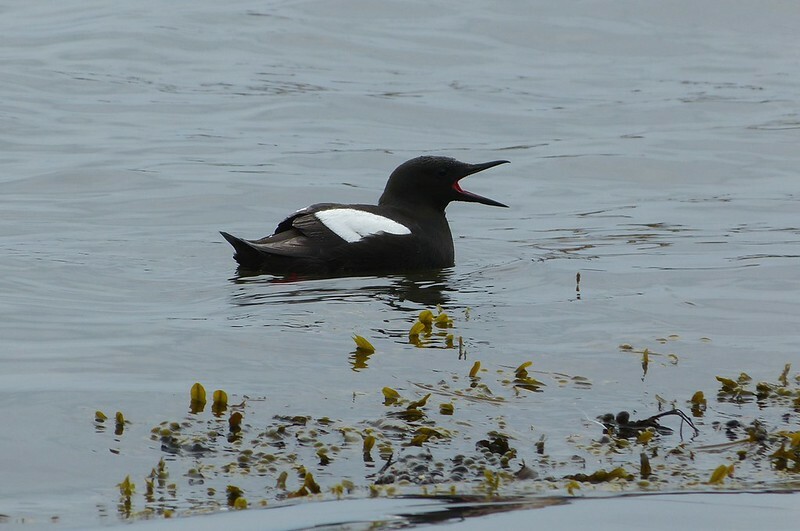 Whether it be Eiders, Turnstones, Seals or even Hooded Crows, there is always something to be seen. 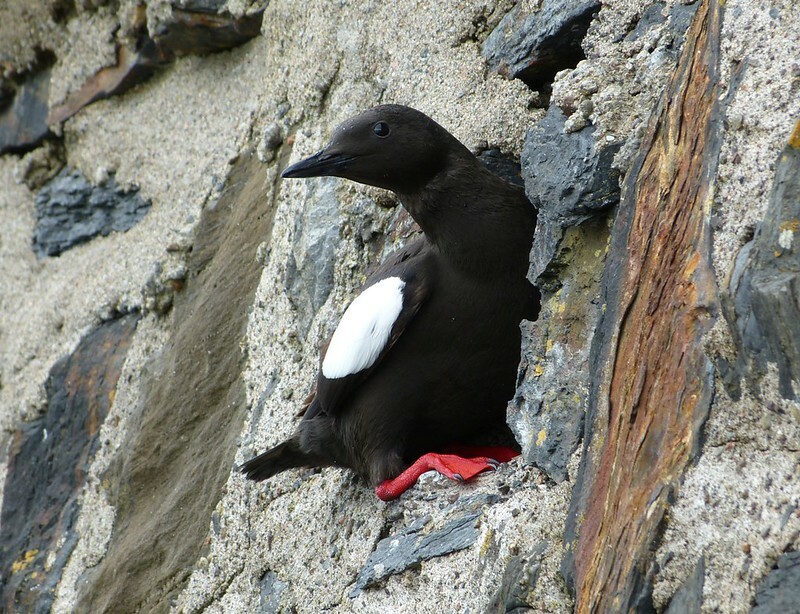 My personal favourites however are the Black Guillemots and for the past couple of years I've been hoping to coincide with their nesting season. This time we hit the mark perfectly and it didn't take long before a flock of at least eight birds was spotted close to shore. Indeed they were much nearer than I've ever seen them before so I carefully crept onto the beach and crouched down against the seawall. To my delight they all stayed put enabling me to get my first decent in-water shots of these fantastic little birds. A few minutes later though and they all took flight, seemingly bringing an end to the encounter. 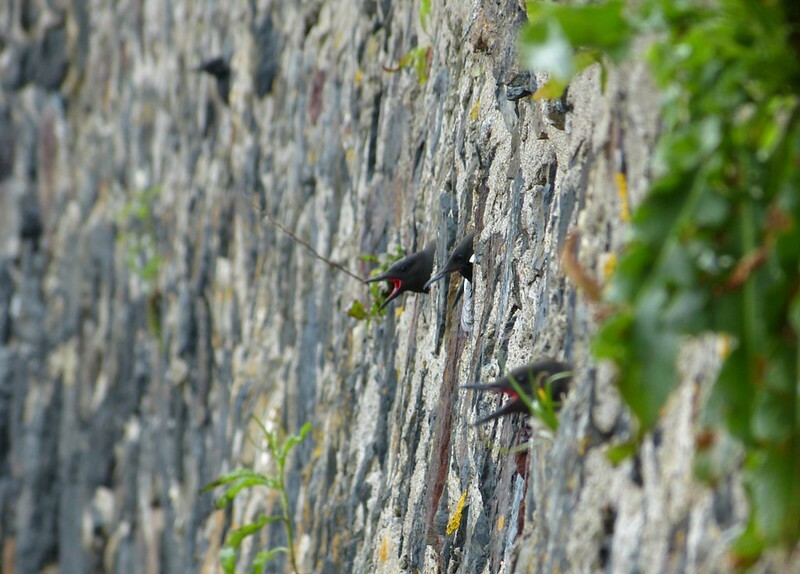 Instead of heading further away however they flew directly towards and over my head, straight into the wall behind. 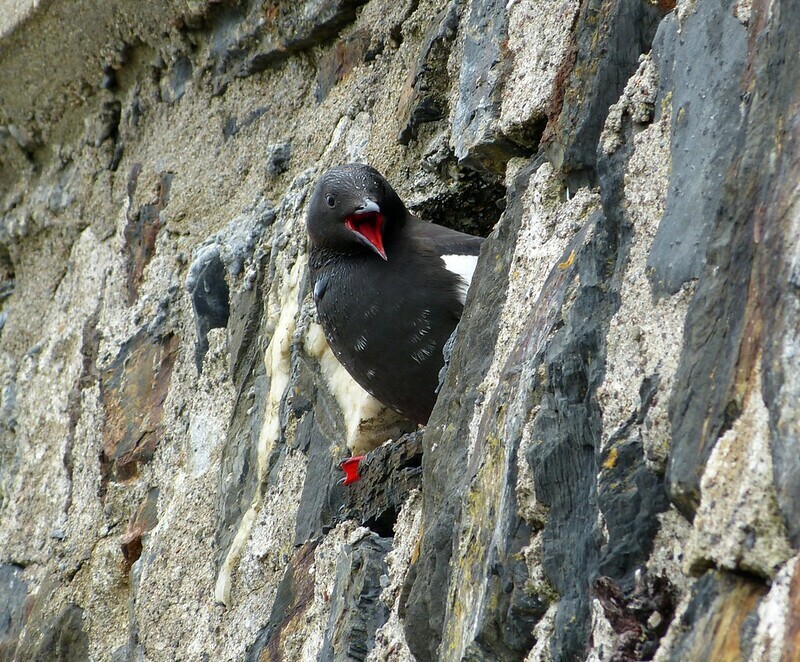 Turning slowly I looked up to see a line of small holes in the stonework, each one filled with a Black Guillemot! Quite unexpectedly I'd stumbled on this years nesting site and was in a prime position to watch proceedings. Fortunately my presence didn't seem to be causing any alarm and for the next quarter of an hour or so I was treated to the comings and goings of this colony at super close quarters. When a lull in proceedings finally arrived I quietly left the area and headed back up off the beach. 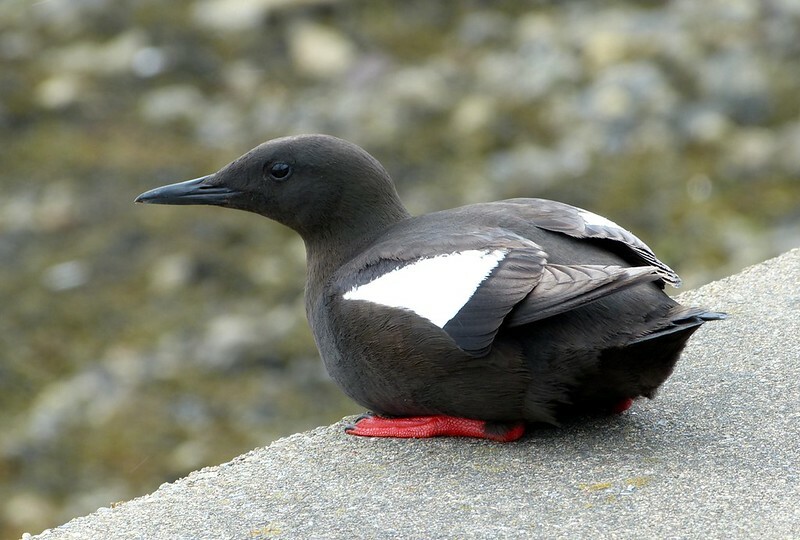 To my astonishment I found a small group of people gathered just above where I'd been stood with at least four Black Guillemots sat directly on the footpath. Clearly these birds are no strangers to humans which undoubtedly explains their accommodating nature. Finally the time came to catch the ferry and I had to tear myself away with the consolation that even better was still to come. The rain and thick fog that greeted us on Mull couldn't dent that feeling and it was to a sunny and clear day that we awoke next morning. 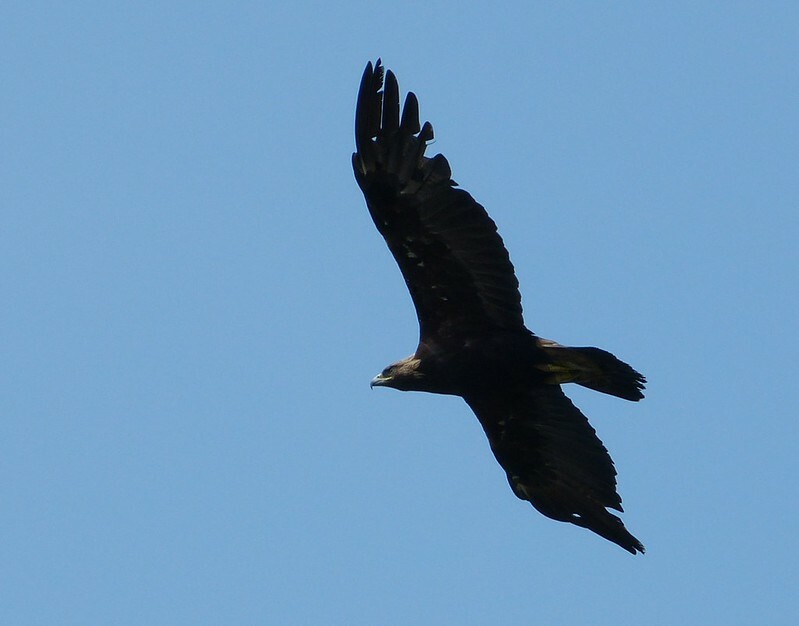 As per tradition we set out on a walk along the coast from our house and within less than half an hour spotted one of the local Golden Eagles. It was soon joined by its mate and they set about giving us a stunning display in for once superb lighting conditions. Usually they only seem to come close when its grey and overcast so this was a real bonus. Eventually they both headed down onto the cliffs and out of sight, forcing us to make a long and hard diversion up the hill to avoid approaching any closer than necessary. Their sheer size is still staggering and I feel truly privileged to be able to not only witness this spectacle once, but on a regular and fairly reliable basis. What an island, and we've not even reached lunch on the first day yet! Beautiful close ups and birds!! Boom & Gary of the Vermilon River, Canada. Great photos and what a wonderful start to your holiday. This is a part of the world I have read about since I was very young - it would be wonderful to see it - and your blog posting is adding fascinating details. 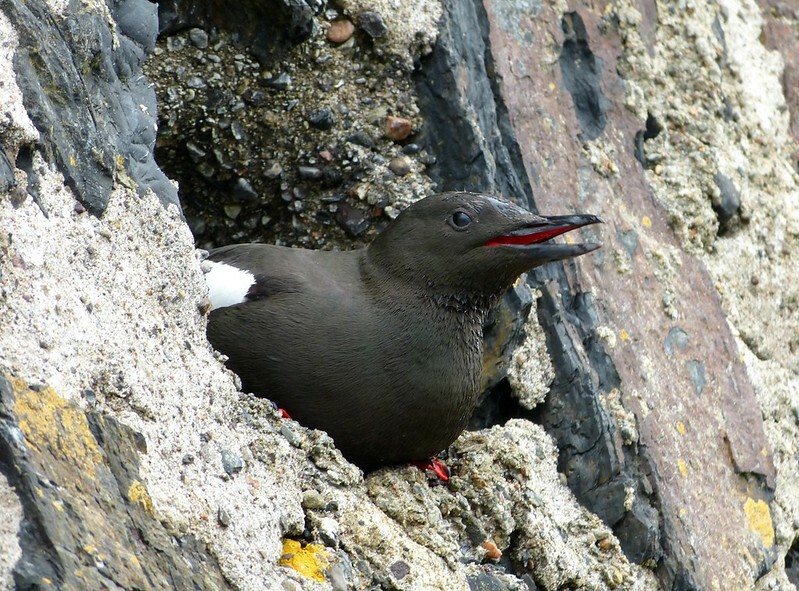 I love the shot of the Guillemot peeping out of it hole in the walls. I am assume they could be nesting there? 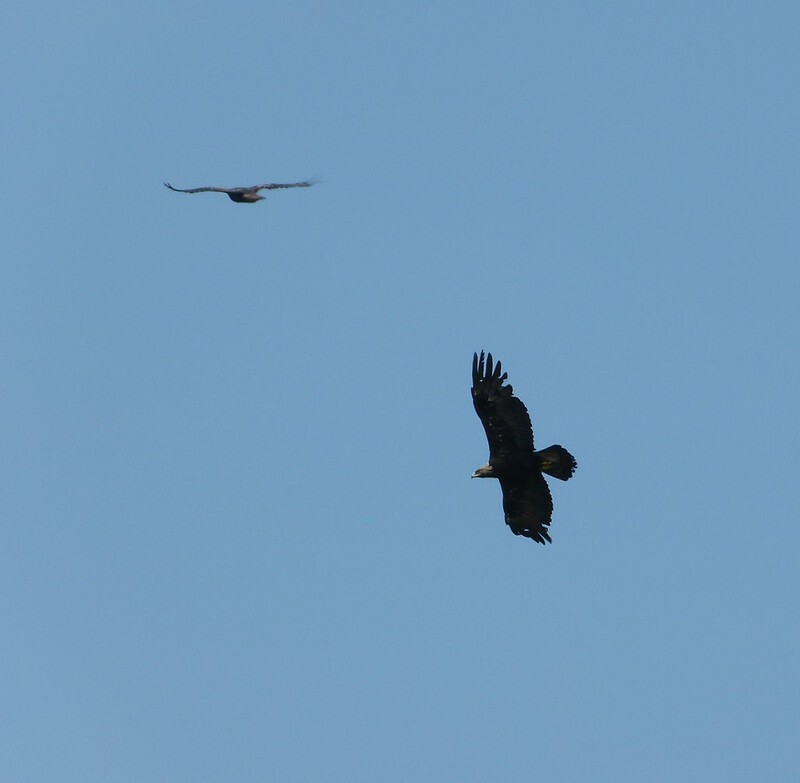 Awesome shot of the Guillemots and the Eagle. What awsome pics Adam, I went to Mull for the first time last year, and have just been up again for a long weekend, but this time just my Daughter and me, so it wasn't strictly a birding trip, but still great. A terrific series with wonderful close-ups! 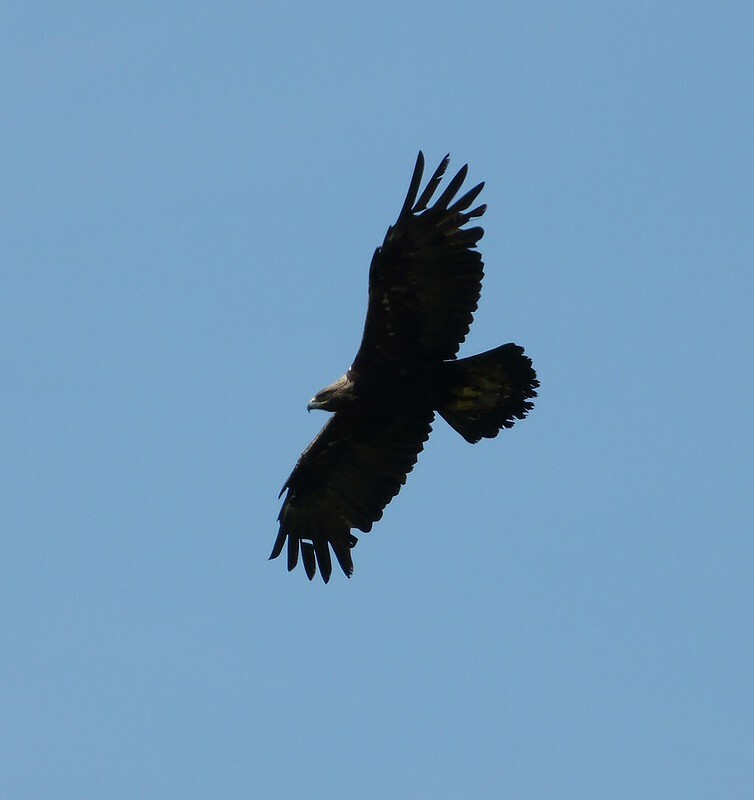 Great pictures - I dont really know how I'm going to organise it, but one day I'm going to Mull! Fabulous shots of these beautiful birds! What a wonderful opportunity. I'm like Stewart - somehow, I'm going to Mull!